Pulmonary vein stenosis is a rare disease and many children fight a courageous battle against this disease. We all have a role in creating hope for children with pulmonary vein stenosis. As a health care provider, parent, friend or relative, increasing awareness is an important step in improving care and creating hope for children with pulmonary vein stenosis. Jaylie Joy was born February 2015. She had an echo at 8 days old because her older brother had passed away from PVS in 2012. Much to our surprise, she was also diagnosed with PVS at that echo. We were devastated!! Both of our children had Primary PVS.....they did not have any other heart defects. Jaylie had her first heart cath at 4 weeks old and 5 drug eluting stents were placed in each of her five pulmonary veins. She had another cath at 2 months old and another 5 drug eluting stents were placed, beyond the first set of stents. When she was 3 months old, she had her 3rd heart cath.....this time there was more stenosis beyond the stents, so our dr gave us a choice.....get on the lung transplant list or try a drug called sirolimus. After much prayer, we decided to try the drug and at her 4 month old heart cath she did not have any more stenosis beyond the stents but had some inside the stents, which has been the case for all the succeeding caths. Fast-forward to today........she has had 10 heart caths, 12 stents and she is a thriving, joyful 2 year old!!! When we got her diagnosis at 8 days old, we just knew we would be burying another child, but she is a miracle and she is fighting the fight against PVS. Please know there is HOPE!!! I would like to invite you to visit our family blog to read more about Jaylie and our journey. Jaylie shows us everyday that there is JOY and HOPE amidst this disease. 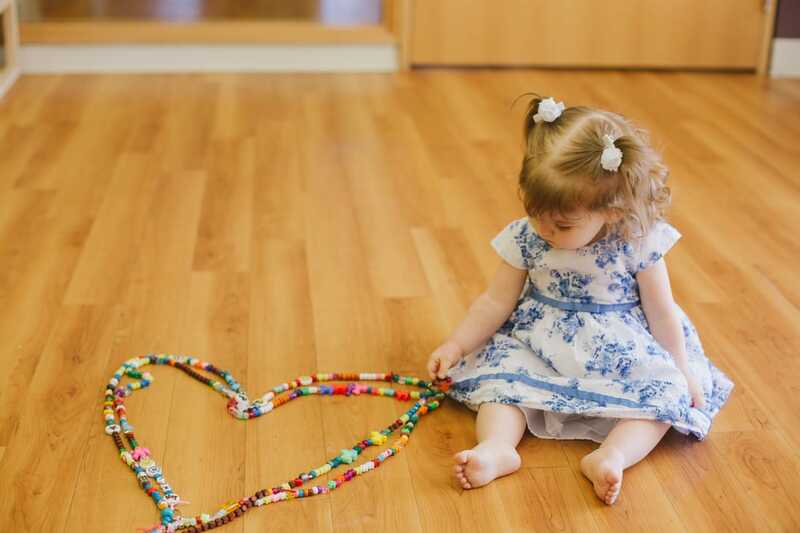 ​Emily was born with a small defect in her heart called a ventricular septal defect. She also was diagnosed with pulmonary vein stenosis. The hole in her heart was fixed, but despite 2 surgeries to repair her pulmonary vein stenosis, she passed away just over the age of 2. ​Jonah was born at 28 weeks with severe growth restriction, weighing only 1 lb 3 oz. After a 156-day NICU stay , we joyfully welcomed him home, but then a routine echo showed that his left upper pulmonary vein was stenotic. Since his PVS diagnosis he has had two heart catheterizations, and each time his vein has been balloon dilated. Today he is a happy and vibrant 2-year-old who loves to walk and get into everything, listen to music, and play with his toys. Sarah was born in Feb 2014 with multiple health issues including severe and complex heart disease. She was eventually diagnosed with Heterotaxy Syndrome, Right Atrial Isomerism. Miraculously, after very few invasive and non-invasive procedures and a successful (but lengthy) heart repair in Oct 2014, she became extremely stable and thrived well. However we discovered that she developed PVS in the spring of 2016 and by the fall, the disease had blocked all of her right pulmonary veins making the lung useless. She began experiencing multiple lung infections and eventually in January, began to suffer from a large pulmonary effusion. Luckily with time and a chest tube, enough fluid was drained that she recovered and she's back to her happy healthy self since discharge just before her 3rd birthday. Fortunately, her left pulmonary veins remain unaffected and its completely compensating for the right, ensuring she gets enough oxygenated blood back to her heart. She's an amazing girl who loves ballet, dancing and singing to all kinds of music. You will find her most days belting out the tunes of the most popular Disney Princesses and will be quick to correct you if you get the lyrics wrong when joining in. She's the most tenacious and precocious three year old you will ever meet. Sarah is beating the odds and shows no fear in the face of her disease. She's the bravest person I have ever known. ​My son, Triston, was born in April of 2012. We only found out on day 2 that he was born with a heart murmur. After an echo we learned of 2 ASD's and 2 VSD's as well as was born with a "small vein" as it was described to us. At a month old, he went into heart failure but we were able to control it with medicine until he was 7 months old, when they also noticed he was born with another congenital heart defect...Cor Triatriatum and so he needed an immediate open heart surgery to remove that defect. While in there, they checked on that 'small vein', but it seemed to open up a bit after his heart was repaired. Two months later, he was having some respiratory distress and we took him to the hospital where he quickly went downhill. The next day he was rushed into an emergency cath where he was officially diagnosed with Pulmonary Vein Stenosis. Two days later he was taken in for his sutureless repair. The recovery was a rough one, battling a few more issues on top of the PVS. Eight weeks later he was already showing signs the stenosis was back. For the next 8 months Triston's PVS was extremely aggressive. He was needing caths every 3-6 weeks. Stents were placed during almost every one. In August of 2013, the doctors were sure that the PVS was too aggressive and Triston was going to need a lung transplant. Although we were on the fence as to what to do, we were going to list him. However, a month later, we were called with the news that Triston was NOT a candidate for transplant. He has a paralyzed diaphragm as well as (at this time) an undiagnosed reason for his low muscle tone. We thought we were completely out of options. We were told, they would continue to perform caths to keep him comfortable, but they didn't know how many more he could handle that close together. After speaking to some Mom's in our PVS support group on Facebook, I heard about a drug for the first time, Sirolimus. I started asking around about it, why they were trying it and then I brought it up to my son's cardiologist. He made a call to Boston right away to find out more information. Knowing it was our last option, my son was started on Sirolimus after his next cath just 2 weeks later. After starting Sirolimus, he went 7.5 months before needing his next cath! And then 8 months and then 8.5 months! He did so well for a year and a half...only needing 3 caths during that time. But then the PVS came back in full force in April 2016. We almost lost him...his top 2 veins didn't look open at all during the cath and the bottom 2 were pinched to almost closed. His pressures were suprasystemic and so the cath was cut short. He went downhill the night and was rushed into an emergency open heart surgery. I'm not sure if there is a name for the surgery that the two surgeons performed...I'm under the understanding that they had never done it before. But they did cut out all the stents that were in 3 of his 4 veins. The whole back of his heart was covered in sutures and so they weren't sure he would ever recover. But 3 weeks later we were home! Since April 2016 he has been doing amazing. He has not needed a cath yet and is only showing very minimal signs of distress. His cardiologist is positive that he can make it a year before they will do a cath. My daughter Gracie was born February 26, 2011. She was born with an AV canal defect and Down Syndrome. Her first open heart surgery was in September 2011. Shortly after the surgery she was diagnosed with PVS. The hospital told us she had 3 veins affected and that nothing could be done. They said no treatments would work, but only delay her death. They said she had 0% chance of survival and sent us home on hospice. I told our home cardiologist that I wanted to give her a chance so he sent her records to Boston. On Thanksgiving Day, we packed up the car and drove to Boston. Gracie had the sutureless repair and was on Gleevec for a year after. Right after surgery she lost one vein, but has been stable ever since! I'm so very grateful for Boston and our Cardiologist for not giving up on her! !